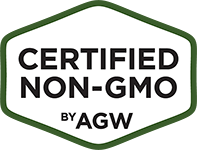 Acknowledged by Consumer Reports as the only “highly meaningful” food label for farm animal welfare, outdoor access and sustainability, Certified Animal Welfare Approved by AGW (AWA) is an independent, nonprofit farm certification program—and now one of the nation’s top 5 fastest growing certifications and label claims. 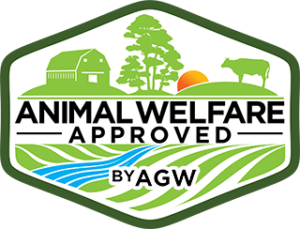 Certified Animal Welfare Approved by AGW is the only label that guarantees animals are raised outdoors on pasture or range for their entire lives on an independent farm using truly sustainable, high-welfare farming practices. It is the only label in the U.S. to require audited, high-welfare production, transport and slaughter practices, and has the single highest impact on consumer purchasing of any food label, according to The Hartman Group. 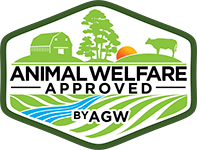 The Certified Animal Welfare Approved by AGW standards were developed in collaboration with scientists, veterinarians, researchers and farmers across the globe to maximize practicable, high-welfare farm management, and are publicly available online. We’re proud of AWA’s reputation for being a practical, common-sense program that’s grounded in the realities of everyday farm and ranch life. Unlike most farm certifiers, AGW’s independent trained auditors visit every farm in the program at least once a year to verify they’re meeting the standards. 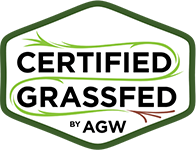 A Greener World’s ISO/IEC Guide 17065 accreditation guarantees independence and impartiality, offering an unrivaled level of integrity and consumer trust in the Certified Animal Welfare Approved by AGW logo. 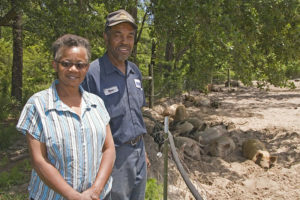 Before we got involved with Certified Animal Welfare Approved by AGW and the North Carolina Natural Hog Growers Association, we were selling on the open market. Our certification has helped get more customers, without a doubt. 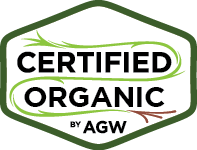 Customers ask more questions about what’s in their food and how it was produced, and our Certified Animal Welfare Approved by AGW certification is the one thing that stands out!